“According to the Formula of Concord (FC) the doctrine of justification (iustitia fidei coram Deo) includes only God’s favour, that is, imputed righteousness. Justification is the same as absolution, the declared forgiveness of sins. “…Contrary to Luther, however, the FC excludes gift, the renewal of a Christian and the removal of sin, from the doctrine (locus) of justification. The FC indeed mentions gift, but at the same time it defines the gift in a radically limited sense compared with Luther. The gift is faith: the right knowledge of Christ, confidence in him, and the security that God the Father considers us righteous because of the obedience of Christ. So, gift means in the FC only the reception of forgiveness, knowledge of faith, and confidence (fiducia), a gift that I would call donum minimum. So my fellow-Finns finally make it to this blog! I was feeling lonely. This general approach has come increasingly under fire from an ever-growing of band of critics. I haven’t got the references to hand, but it is definitely the case that the Finns have not won the day (not yet anyway). The critical comments in the final essay of Union with Christ give some taste of where the problem areas lie. 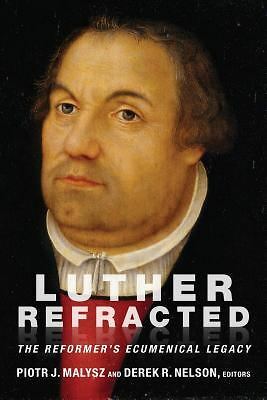 To summarise things in an all-too-small nutshell: the key problem (apart from the rather dubious claim to have found the “true heart” of Luther’s theology, which everyone else has missed for so long) is that in their effort to drive a wedge between the FC and Luther, they are forced not only away from the FC but even from the Augsburg Confession, as Tuomo Mannermaa (the father of this whole project) now admits. And as we well know, Luther had no problem with the Augustana or its Apology. Which makes this sort of thing not at all Lutheran, and not necessarily very Lutherish either. And, much as they protest to the contrary, the project ends up looking an awful lot like re-branded Osiandrianism. One should also be cautious on another count: while the whole thing began as part of a very refreshing and fruitful set of ecumenical dialogues between the Ev.Luth. Church of Finland and the Russian Orthodox Church, and Mannermaa’s original book (In ipso fide Christus adest, translated into German and English as Der im Glauben gegenwaertige Christus/Christ Present in Faith) was a breath of fresh air, it subsequently turned into an ecumenical tool of a different sort, being a key component in the final form of the Joint Declaration on the Doctrine of Justification. Whatever else one may say about the Finnish Luther School or the JDDJ, it’s an uncomfortable partnership. Sorry to be so vague — haven’t got any references to hand.